Vogue Paris April 1996, by Mario Testino. Alongside Carolyn for Vogue Deutsch September 1996. Vogue Paris August 1997, by Micheal Thompson. Photographed by Darren Keith for Vogue Australia September 1997. Vogue Italia October 1997, by Steven Meisel. Photographed by Judson Baker for Vogue Australia February 1998. 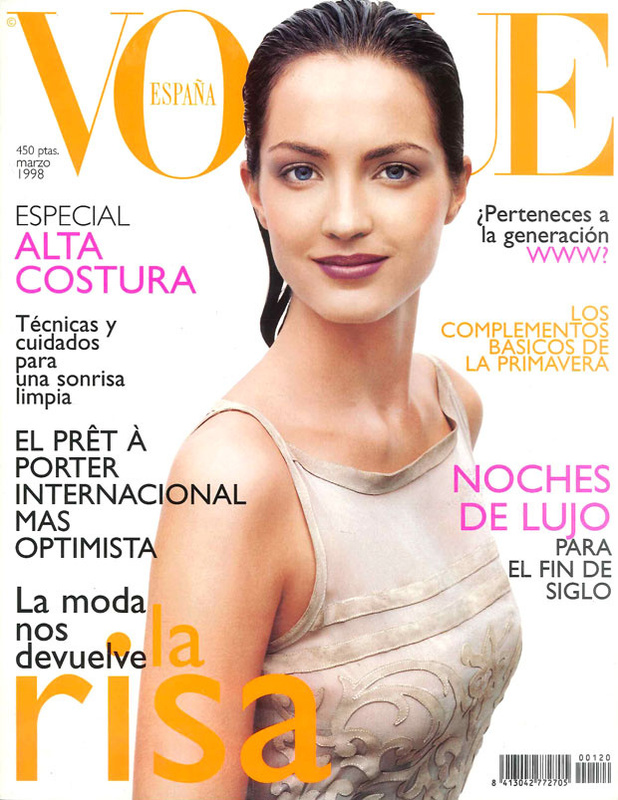 Vogue España March 1998, by Thomas Schenk. On the cover of Vogue Hellas December 2002.